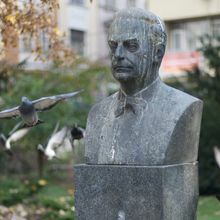 Šop clearly defined himself within the specifically Bosnian Catholicism of a Franciscan provenance, already recognizable in his early collections of poetry Poems of a Poor Son (1926), Jesus and My Shadow (1924) and At a Late Table (1943). This poetry of his, besides corresponding to the Croatian social lyrical poetry, has a strong imprint of the Franciscan as well as folk spirituality, the Bosnian life experience. Šop’s Jesus is a friend of the poor, a man and a sublime being, as conceived by St. Francis, the French writer Ernest Renan (1823 -1892), or Bosnian Franciscans who have perfected their formula for action secundum loca et tempora in the school of art of living and folk legends, preserved for centuries in oral tradition about visits to the earth “undertaken” occasionally by Jesus or certain saints. Šop’s Jesus is not astrally elevated; he is not the divine Christ, but a common little man, he is “visiting us,” he is “reading the papers,” he is an unexpected guest in our humble home. Let’s look at “Jesus and Me Before the Town Rooster”! 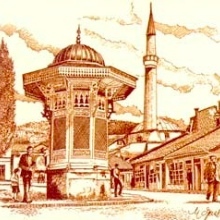 It is almost shocking for the time in which the poem was written, especially if compared to relatively “tolerable” titles such as “Invitation to Dear Jesus” or “Jesus Alone in the Room.” Such placement of Jesus, that is his “use,” his demystification, makes him so small and modest, familiar with the common man in a modest Bosnian house, in which the Bosnian Franciscan also became a modest “uncle”! Such a Jesus of Šop’s reminds us of the mythic “golden age” when God walked the earth, as a folk saying which preserves the memory of some nonexistent time has it, a time of an unspent paradise, of the pastoral. It is a deviation from the Jesus Christ offered to us in our own time by the established church. Šop’s poetic Jesus is the closest relative to man, an utterly anthropomorphized God. That is why in such a version of Christianity Šop’s poem “The Wandering of St. Francis’ Poor Son” is possible; in such a Christianity only a monk can wear a fez and Jesus a hat! In a poetics thus established, Jesus is not only the “main hero” of an innovative poetic thought, he is an imaginary interlocutor, the “hypothetic second person” of which Russian composer Igor Stravinsky speaks. Later, Šop will stop being the poet of “earthly things” and his gaze will soar to the cosmic regions in search for the edges of the infinite. 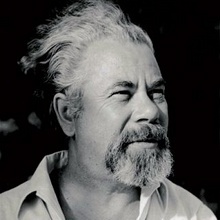 Cottages in Cosmos (1957), Cosmic Campaigns (1957), Astralia (1961), While Cosmoses Wilt (1975) and Unreachables (1979) are collections in which Šop visits the metaphysical, where he transforms the small earthy love for Jesus into a “great cosmic ars amandi,” searching for the freedom of boundless spaces, for the eternity, for the “Being of all beings.” The poet of the physically palpable world grew and reached the position of a poet who discovered the world with spiritual eyes, with abstractions far away from the sensual world; he arose to the transcendental.